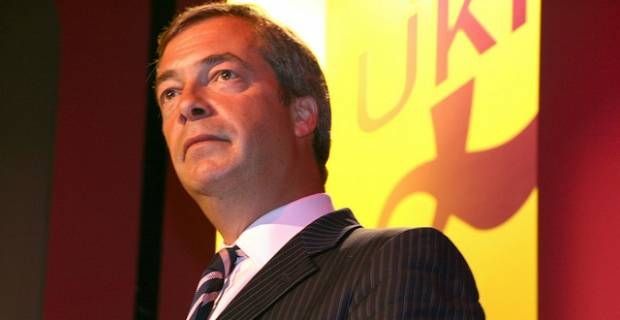 Whether you like him or loath him, it’s easy to see why the UK Independence Party (UKIP) leader Nigel Farage has become one of the most recognizable politicians in the UK. "The former City trader turned right-wing politician quaffs champagne, puffs away on a cigarette and enjoys a pint quite openly. He isn’t afraid to turn the air blue, either. And when he speaks you get the feeling that he is genuinely speaking his mind. Some might argue he is a “man of the people.” But, where does Nigel Farage live? Behind the booze and odd expletives, we all really want to know more about the man who wants to take us out of Europe. For starters, where does Nigel farage live? In his own words, "We [Mr Farage and wife Kirsten Mehr] live in a small, semi-detached house. A small semi-detached cottage in the country and I can barely afford to live there." As you try to comprehend those words with a facial expression that is more 'EH?' in light of the fact that “poor” Mr. Farage’s house is estimated to be worth £540,000 and media reports that he is one of the highest paid politician in the world, we’ll give you a little background info on the man. Nigel Farage grew up in the Kent village of Downe and still lives around the corner from his mother Barbara. His father, Guy Justus Oscar Farage, was a stockbroker and heavy-drinking bon viveur. He left his family home when Nigel was only five years old. "We are a middle-class southern family," Farage explains. "There's no point pretending to be anything different." The elder of two brothers, Farage was educated at fee-paying Dulwich College in south London, where former pupils include polar explorer Sir Ernest Shackleton and PG Wodehouse. The young Farage excelled on the cricket field, but less so in the classroom. No surprise that Farage decided to go into the City instead of following the classic route into the upper echelons of politics that would have taken him to Oxbridge after his A-levels. The environment in the City was laddish and politically incorrect, but the risks and rewards were high. He learned to think on his feet and after work he would end up in the pub. In that environment, he says, if you weren’t outspoken you tended to be ignored. Farage’s detractors have often tried to depict him as a clown, while David Cameron once claimed that he presided over a party of "fruitcakes, loonies and closet racists". But, who knows, Nigel Farage could yet have the last laugh. And now you have a respite from the burning question: where does Nigel Farage live? As to whether the fiery politician is really a “poor,” man, that is a question for another day.